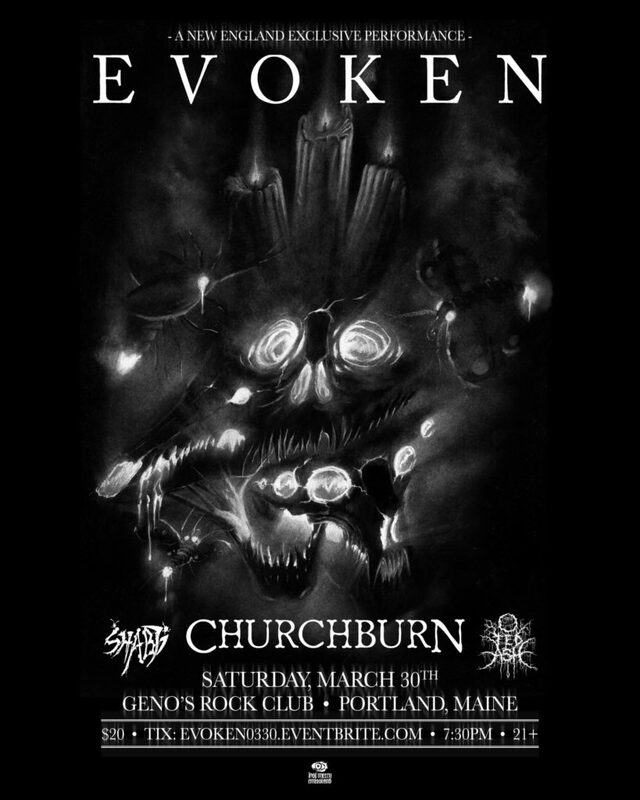 Long-running Garden State death/funeral doom collective, EVOKEN, will bring their odes of desolation to the stage this year on select shows beginning with an appearance at Geno’s Rock Club in Portland, Maine March 30th with Churchburn, Shabti, and Fed Ash. 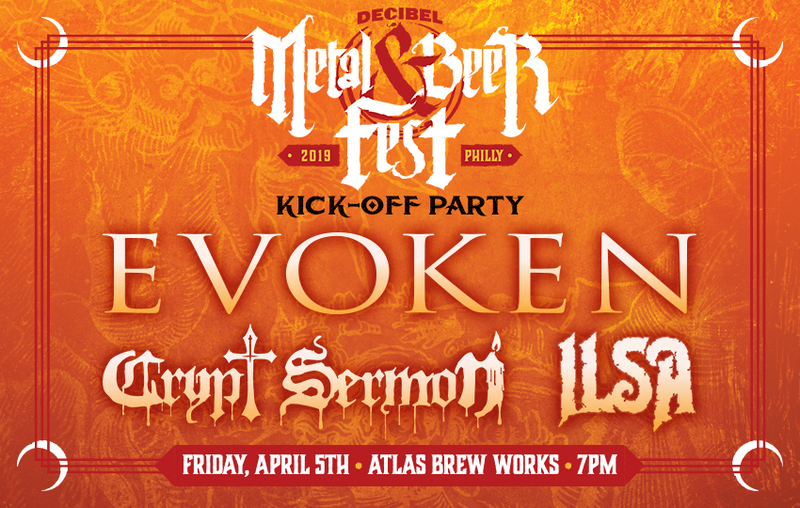 On April 5th, the band will headline the Decibel Metal And Beer Fest Official Kick-Off Party at Atlas Brew Works. 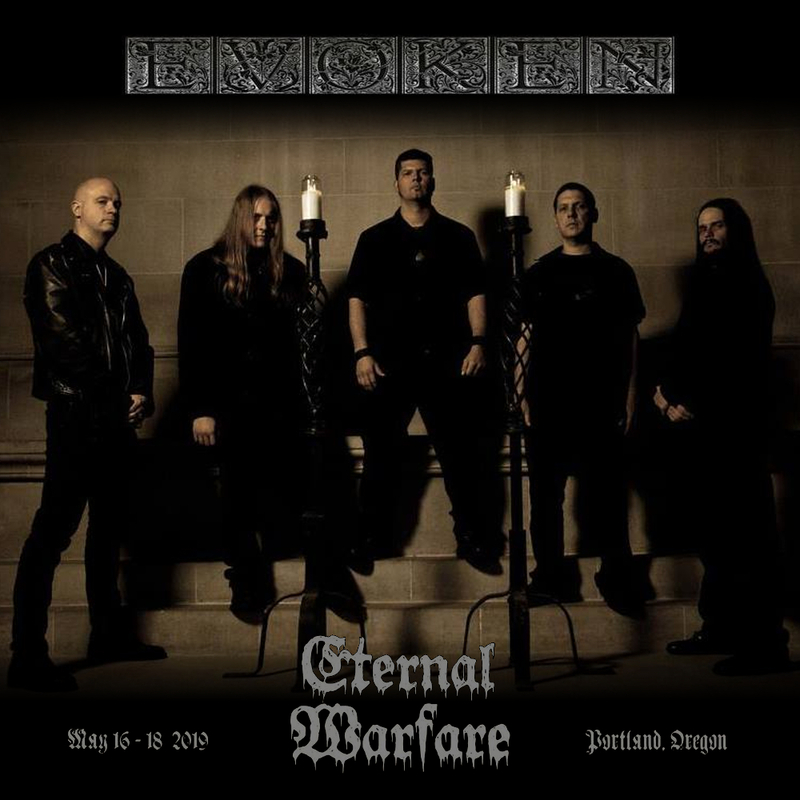 The show marks EVOKEN’s first-ever appearance in Washington, DC and features support acts, Crypt Sermon and Ilsa. Attendees will be able to sample the wares direct from Atlas Brew Works, who will unveil a special beer collaboration that evening with EVOKEN that’s sure to go down low and slow. In May, the band will play day three of Eternal Warfare Fest in Portland, Oregon alongside Shape Of Despair, Spectral Voice, and more. 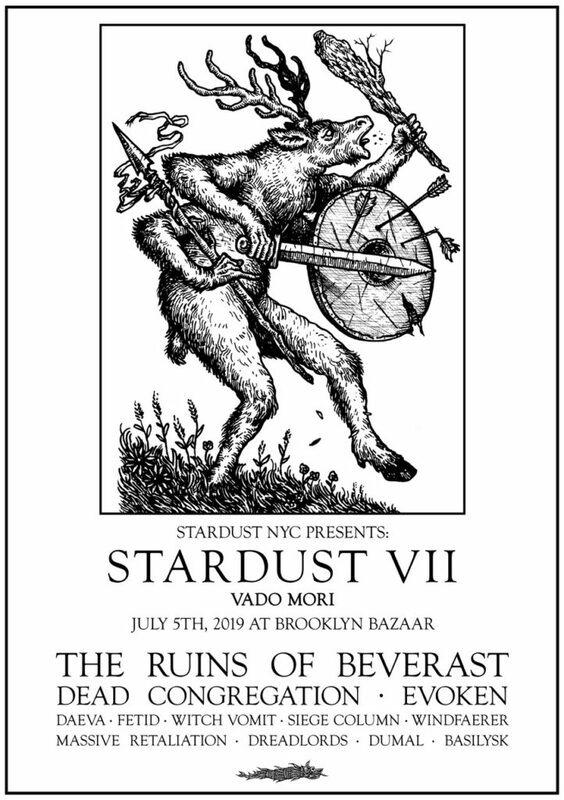 July will find the band at Brooklyn Bazaar in Brooklyn, New York for Stardust VII: Vado Mori with The Ruins Of Beverast, Dead Congregation and many more with additional performances to be announced in the coming weeks. See all confirmed dates below. 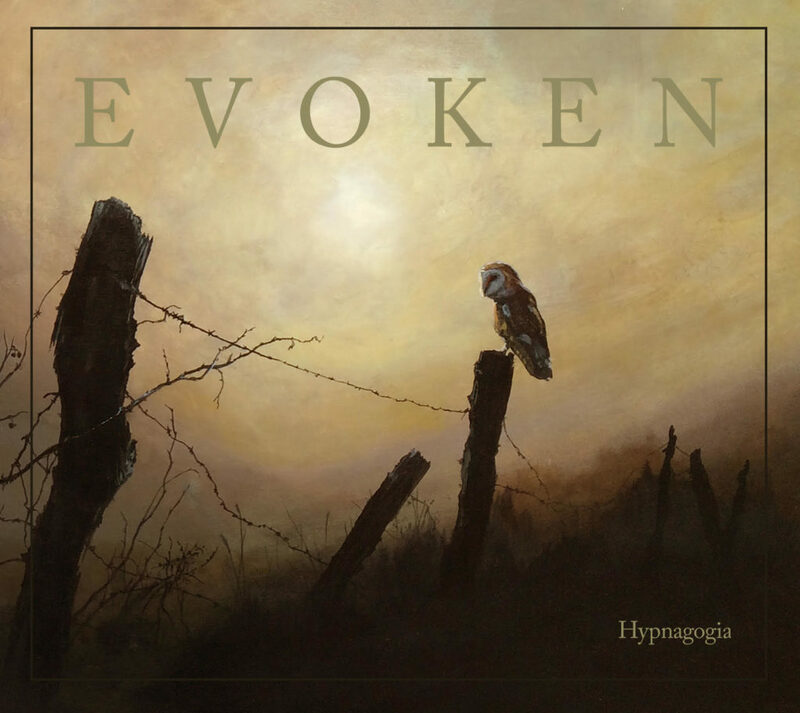 EVOKEN released their Hypnagogia full-length late last year via Profound Lore. Their first new output in six long years, Hypnagogia was recorded, mixed, and mastered at Sound Spa Studios in New Jersey by Steven DeAcutis and comes bound in the artwork of Adam Burke (Artificial Brain, Mos Generator, Hooded Menace). Hypnagogia is available on CD, 2xLP, and digital formats via Profound Lore Records. For orders, go to THIS LOCATION. Stream Hypnagogia via Bandcamp at THIS LOCATION or Spotify at THIS LOCATION. 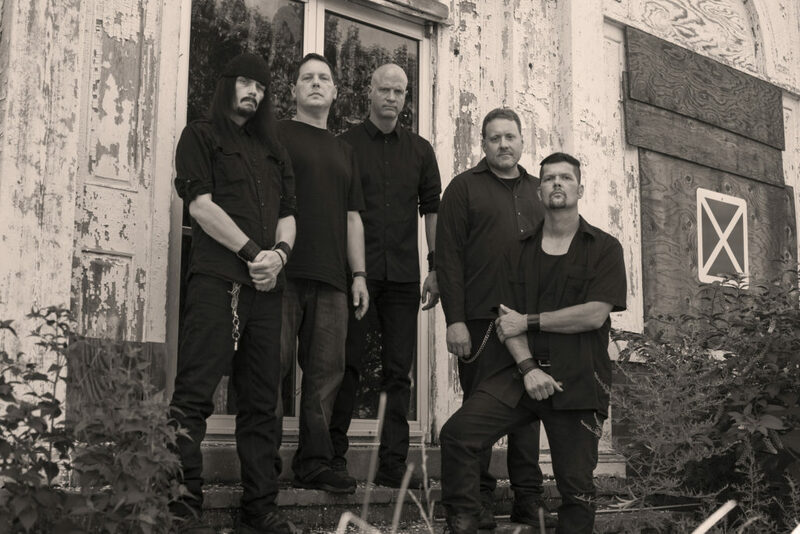 Known as one of the founding fathers of the American death/funeral doom metal scene, New Jersey’s EVOKEN have been a long-standing pillar over the band’s twenty-five-year existence. The follow-up to their landmark Atra Mors full-length, Hypnagogia is a towering monolith that develops and redefines the band’s sound. Pushing both their penchant for grandiose melodicism and their trademark aura of pulverizing, unparalleled heaviness even more, it is the base of this repercussion that makes Hypnagogia one of the most intense, compelling, and soul crushing EVOKEN listening experiences yet; one of euphoria, desperation, and hopelessness.